See a list of my upcoming seminar dates. The aim of the seminar is to leave participants with greater freedom, satisfaction, and workability in their fat/thin relationships. Men and women have a lot of expectations about masculinity and femininity—for themselves and for each other. This can be even more complicated when ideas about fat are added to the mix. This workshop gives participants an opportunity to discover what stops them in relationships, and also to distinguish what they already do that works (it’s not always what we think). This workshop is designed for participants to examine their relationship with food in a new way. So often we think of food as being good or bad, healthy or junk, delicious or disgusting. We hardly ever let food be food. Once we distinguish our prejudices about food, we can actually begin to taste food in a new way, even begin to design our tastes or just explore how much more there is to taste. What if you could live in someone else’s body? How would the world be different? How can the body experience abstract ideas such as self-esteem, empowerment, or equality? In this workshop, we’ll create new relationships to our bodies that give us access to our goals and desires. We’ll explore the language of the body to see how it can transform the mind. There’s nothing strenuous to do, no strange postures or poses to learn. Your body and your imagination open the door. Think you know what goes on inside the mind of an FA? You’d be surprised how the world looks through our eyes. 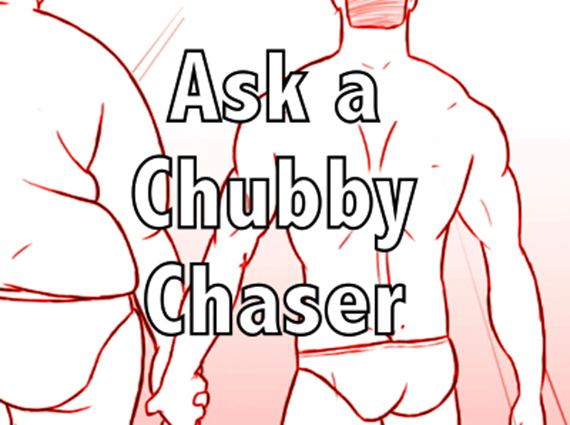 Even many FAs and Chubby Chasers are at a loss to explain their tastes and sexuality, and how it affects our relationships. This is the place to ask questions, vent frustrations, gain insights, and discover just how much we all have in common.